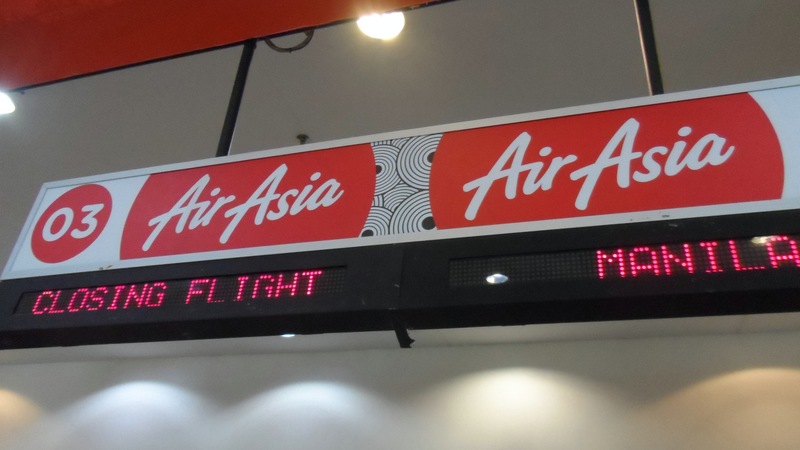 I felt a bit excited that Airasia has re-launched its Cebu-Kota Kinabalu route, which will start flying this March 2015. Based on personal observation, Kota Kinabalu is the cheapest “International destination” ticket when coming from Cebu, and even from Manila. Promo Flights can go as low as 2,500 round trip all in when booked 2 months in advance, and it could even drop lower, depending on season. Mentioned ticket price however, excludes Phil. travel tax and terminal fees. 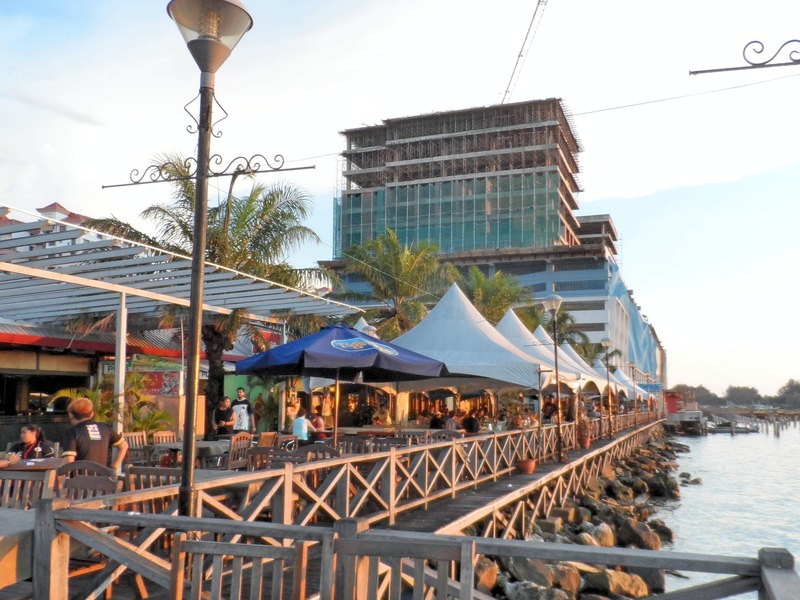 Heres a quick glimpse of how I lazily roamed around Kota Kinabalu for two days. This charming city was my last stop from backpacking Northern Borneo last year. 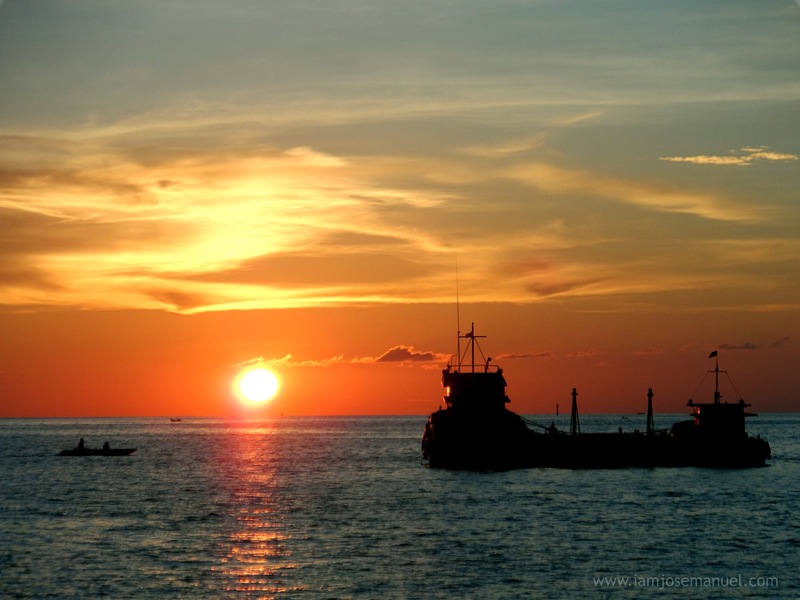 A bit tired, I just let myself loosen a bit from my planned itinerary to just spend afternoons strolling along downtown’s waterfront parks and commercial strips, and enjoy the view of the Sunset , which was totally gorgeous by the way, The best sunset I’ve seen so far . Enjoy a bottle of beer while chilling on this deck by sunset. 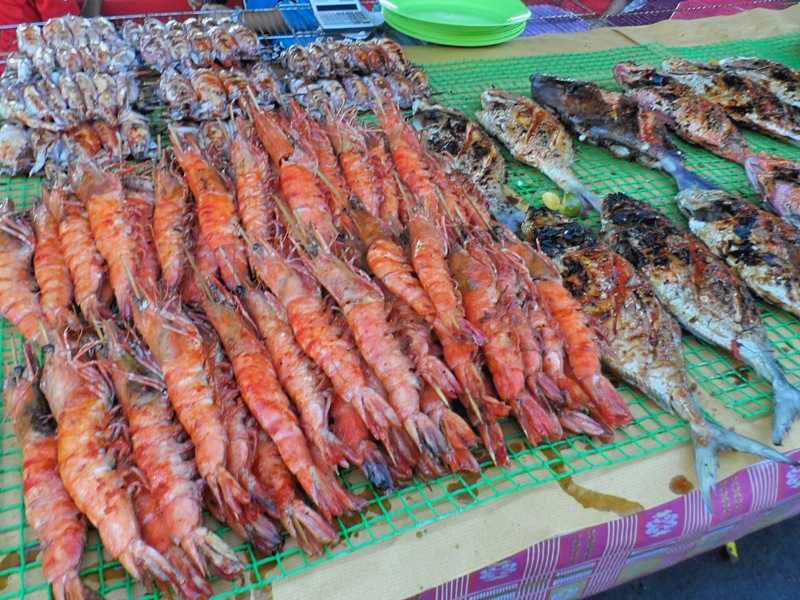 Enjoy fresh seafood from the nearby Market , and they call it “Filipino Market” because there are a lot of Filipino stall owners here. 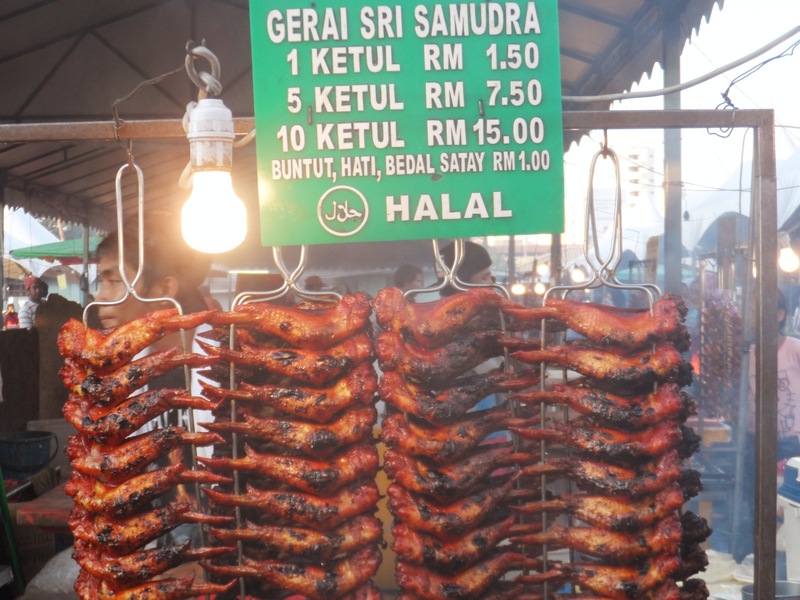 Affordable Halal BBQ Chicken .. you don’t see much of pork openly displayed in KK as the citizens here are mostly Muslim-Malay. 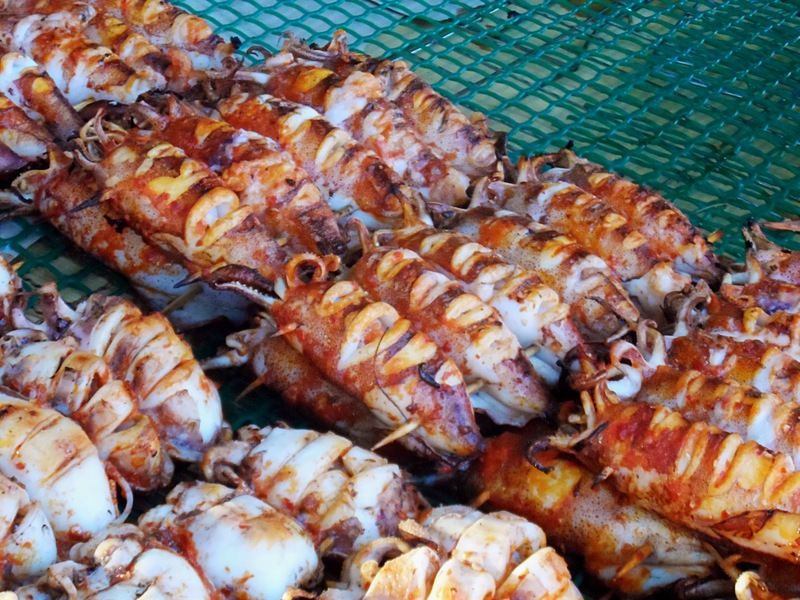 More Seafood at the Filipino Market . And as a traveler coming from Mindanao, these are a bit pricey. 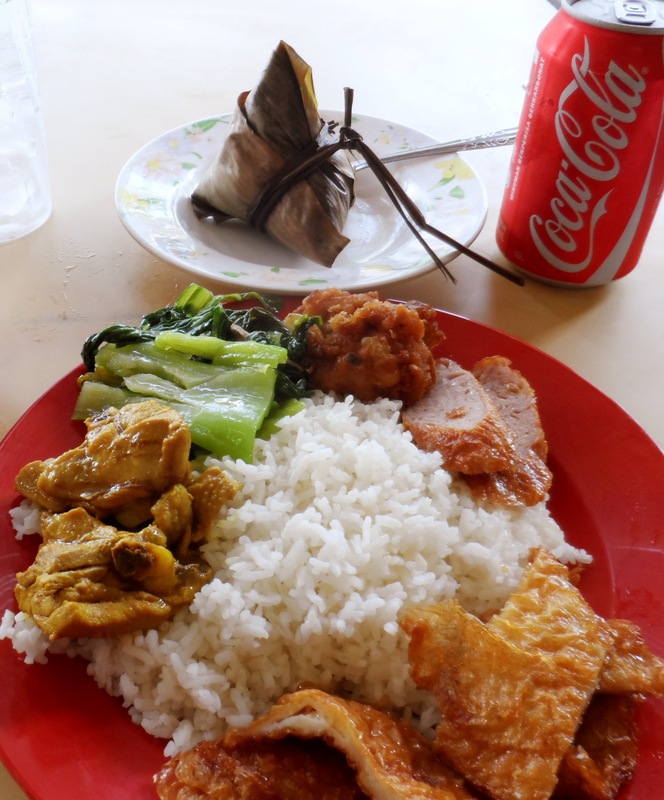 Day 1 – Dat trip to Palau Manukan Island , around 20 minutes from KK by speedboat for around 23 Ringgit ( 6USD) including necessary fees. 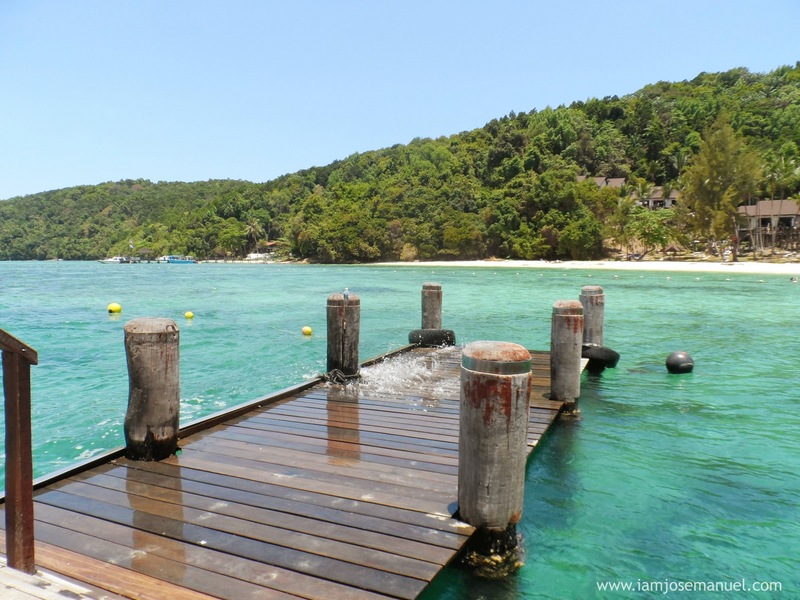 Palau Manukan is the biggest and most developed among three public island beach resorts that can easily be reached from KK. 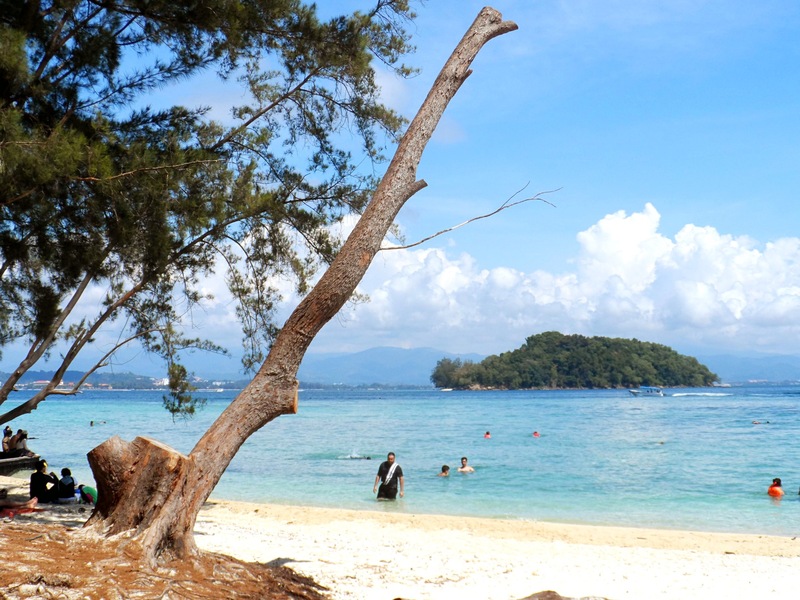 Tourist can also visit nearby islands to do snorkeling/diving , for additional fees. Expect to see a lot of Australians on the Beaches of KK, as there are daily flight routes connecting KK to different cities in Australia. The Jesselton Port, where Boats to neighboring islands are docked. Sup Daging from nearby Malaysian Eatery. 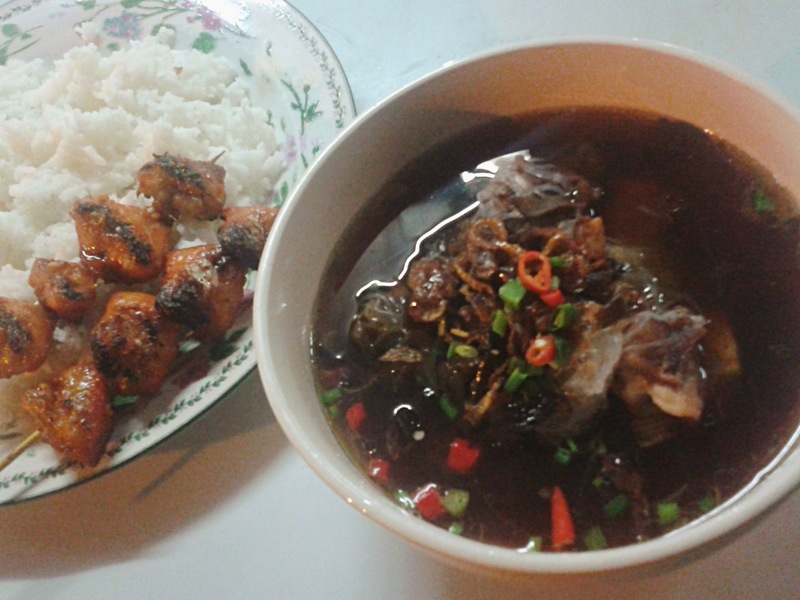 Sup Daging (Beef Soup) is an aromatic broth serve with either noodles, rice or flat bread. 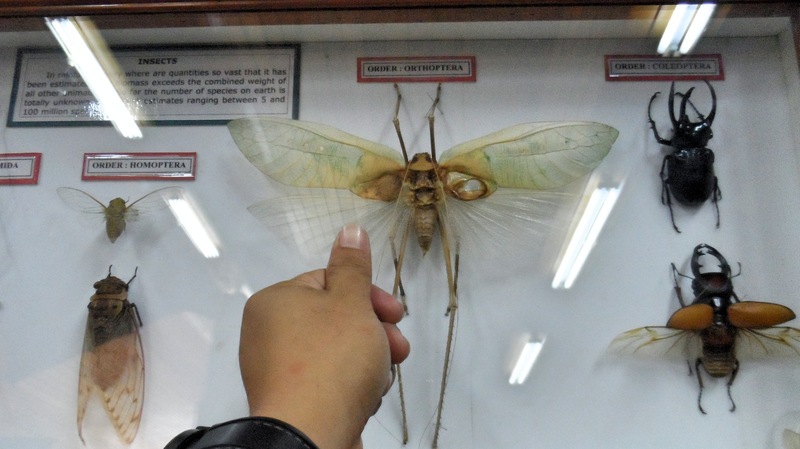 Giant Insects still thrive in the protected areas of Mt. Kinabalu . 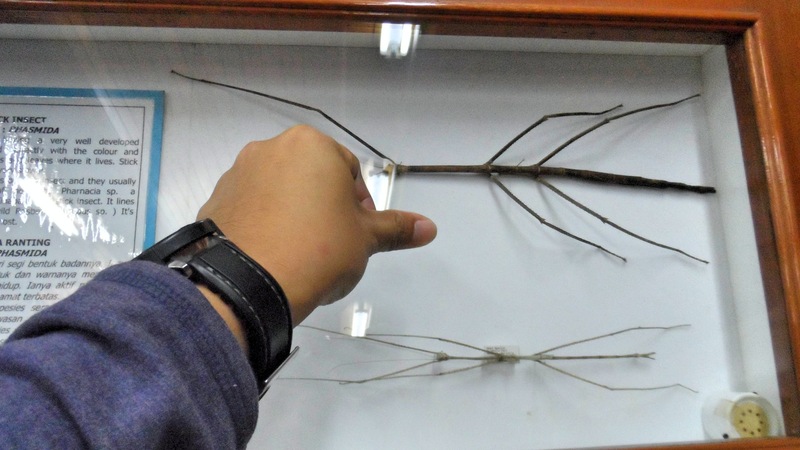 Here in the frame is an actual Bornean stick insect. An actual mummified Giant Moth of Mt. Kinabalu , mostly are endangered species. some have already gone extinct due to over harvesting. so sad. 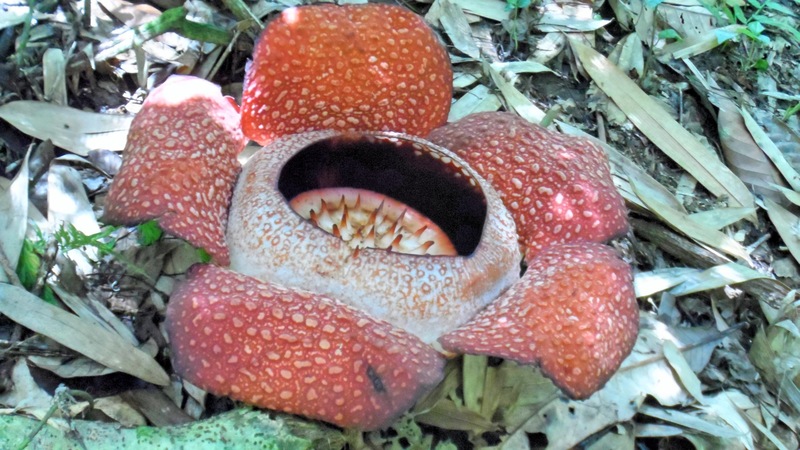 Rafflesia Flower which thrives along the foothills of Mt. Kinabalu . This is around 15″ in diameter. Those in deeper woods can grow bigger. 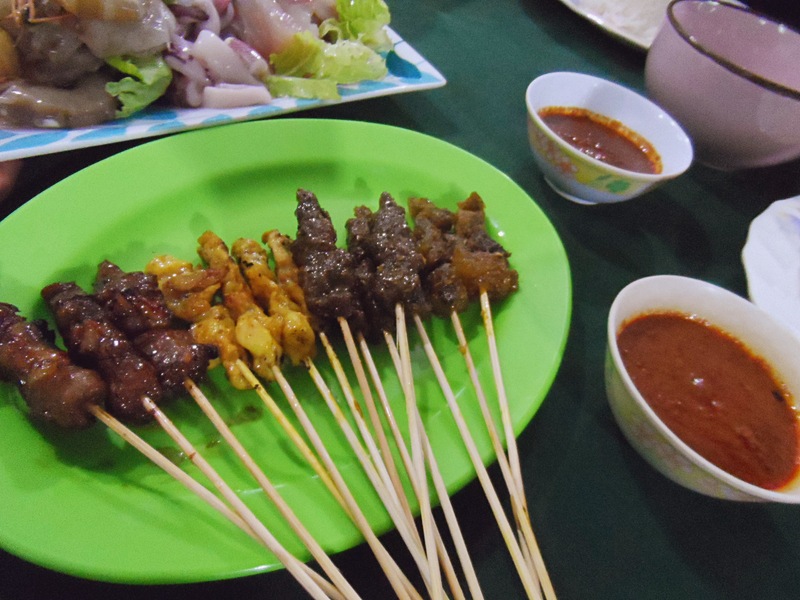 Feast on Chinese Food in KK , as the Chinese holds a very strong influence in this Southeast Asian city. 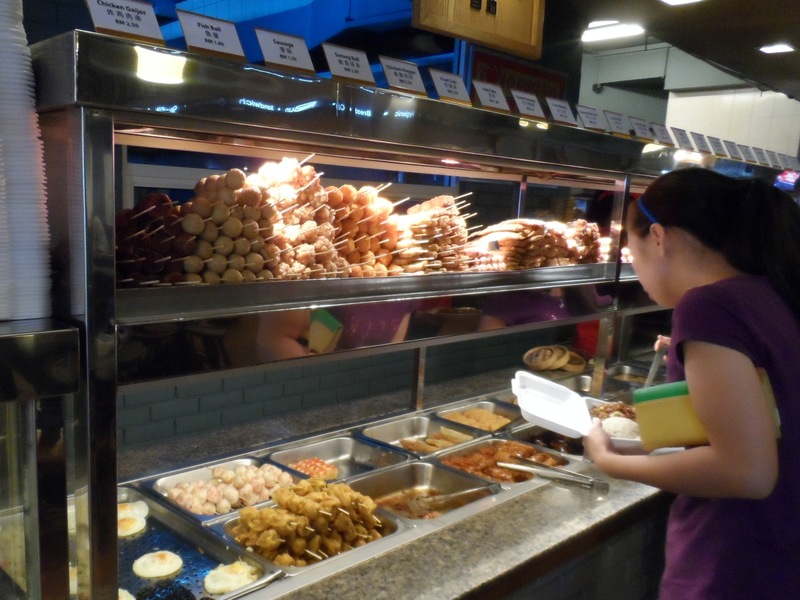 Hongkong Style Hawkers are almost on every corner. 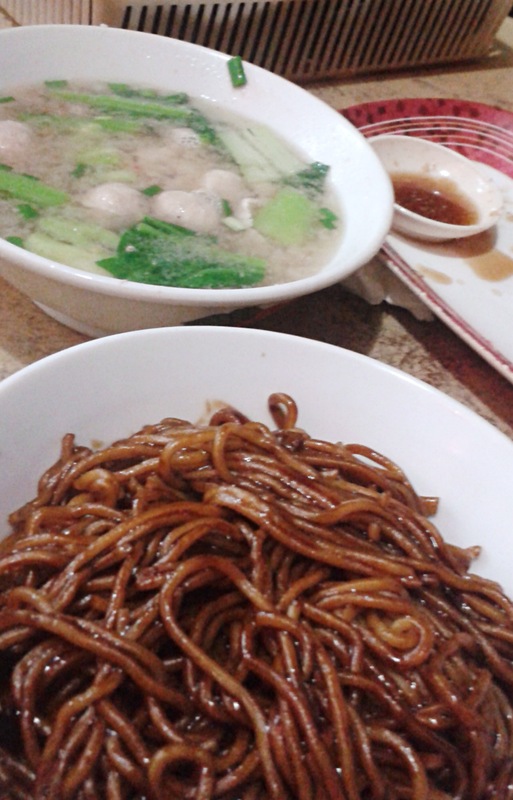 Fishball soup and Teh Lou mee noodles , which is comparable to Filipino-Chinese Satemi , only that its more on the sweet side. 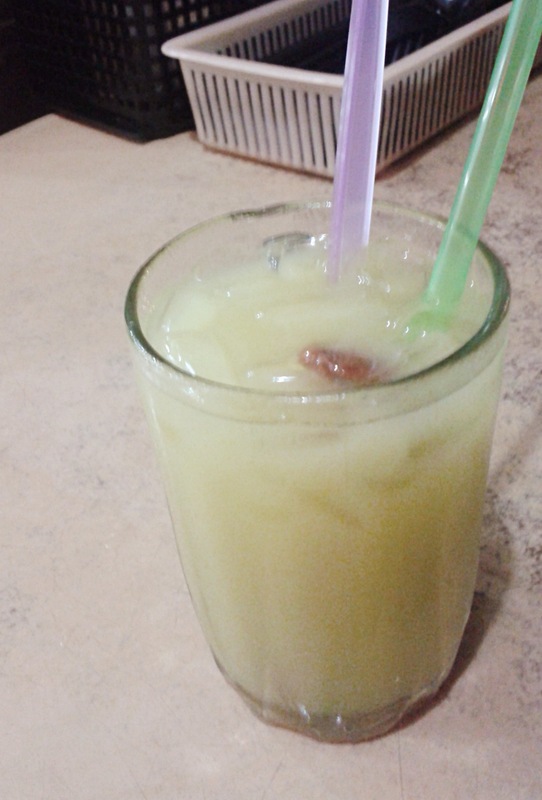 Freshly squeezed lemonade with Kiamuy sinkers. Interesting ! 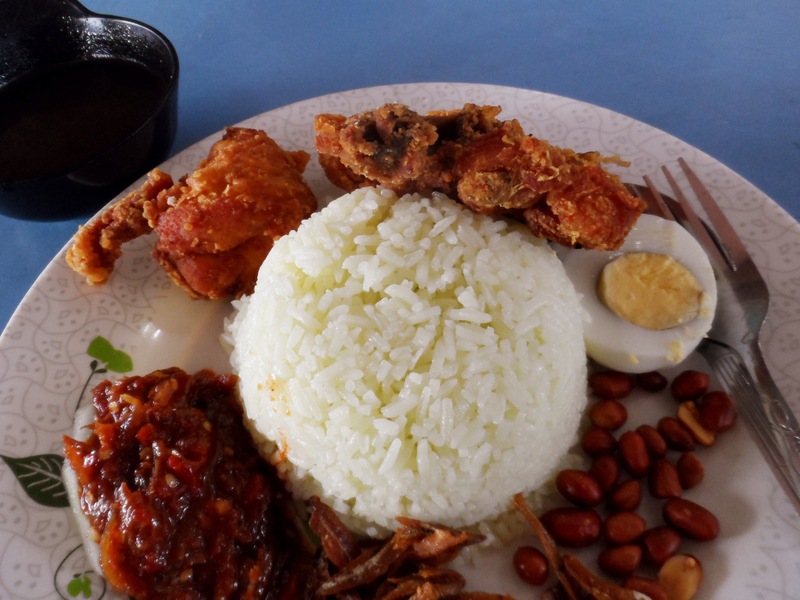 Travellers Light Backpackers Lodge at around 8 USD (Dorm Type) per night with light Breakfast and Unli Coffee/Tea , located at 19, Lorong Dewan, which was around 10 minutes walk to Jesselton Port and nearby Malls. 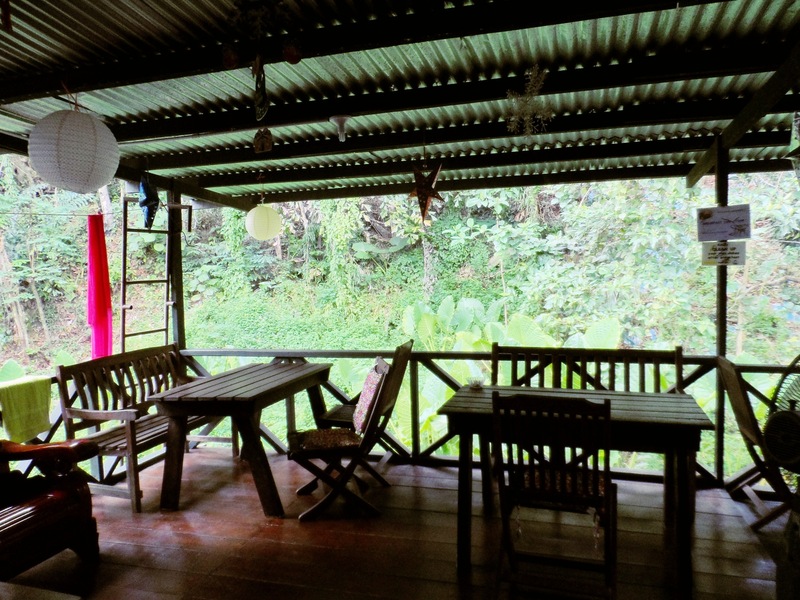 The Lodge is owned by a Malaysian and his Filipina wife, Joy , whose from Iloilo . 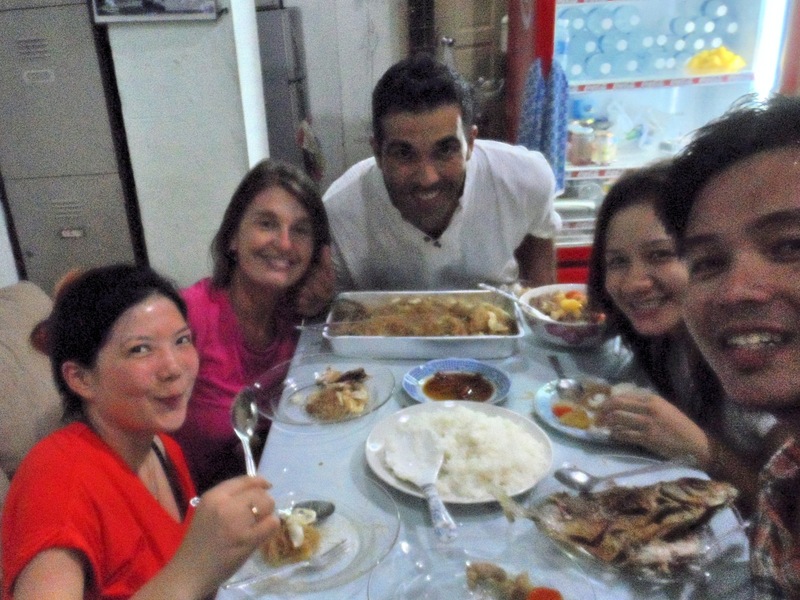 Having dinner with fellow backpackers from Spain and China , Hosted by the owner, Joy ! 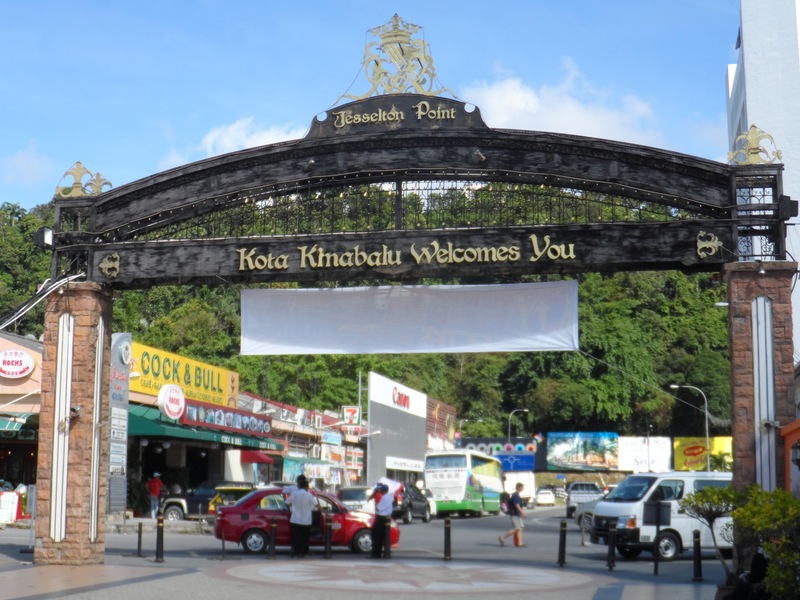 Great photos of Kota kinabalu and stick insects. Some ideas on where to go eat and stay. Happy travels flash packers!! where did you booked your Mt. 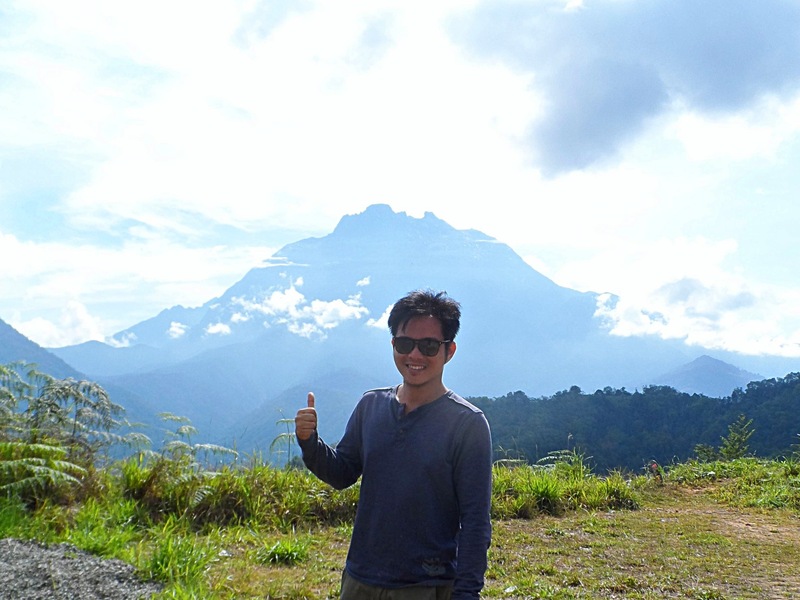 Kinabalu World Heritage Site Package? Hi. I booked through hotel where i stayed . Hi! 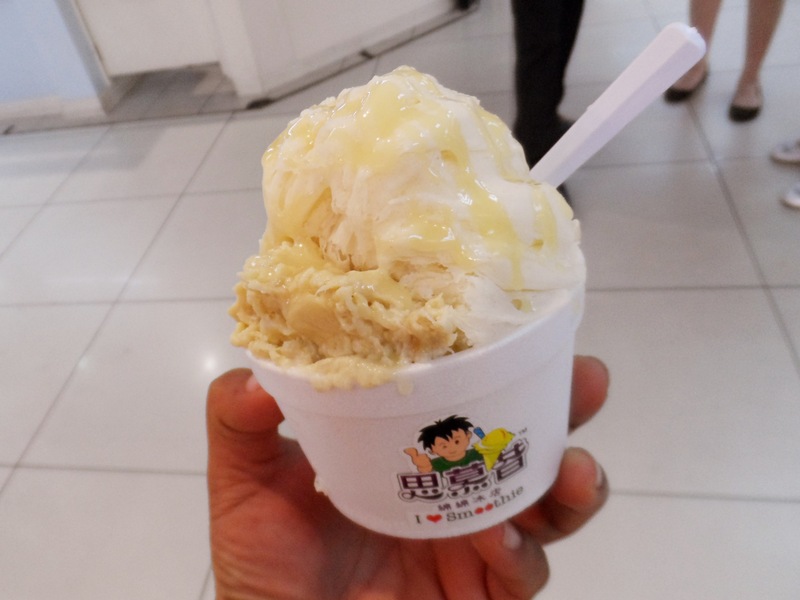 I’m planning to visit KK this summer with 1 friend. how much was your budget for a two-day stay? and is taking the bus better than walking? Thanks so much for the great post. I always wanna discover Sabah Island, especially the Sipadan Island and conquering the Mount KK.